Want to make learning maths skills fun and engaging for children? Be still, my beating wooden block loving heart – SumBlox is the answer! SumBlox is so much more than a number shaped wooden block set. 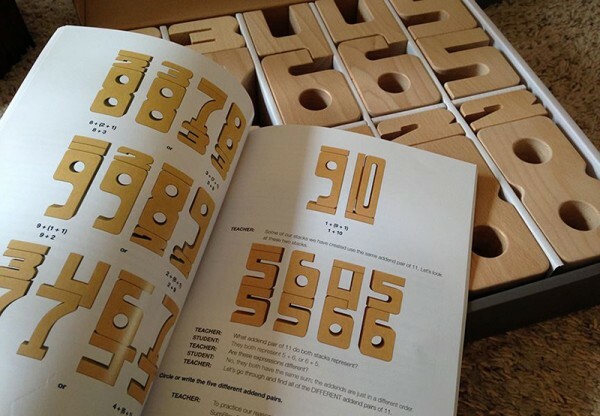 In an intelligent design twist, each block’s number value is represented by its height. This visual clue makes it easy for kids to see which numbers are small and large. SumBlox also visualises maths sums. For example, when a two and a three shaped block are stacked together, they’re the same height (and value) as the five shaped block. Watch the video below from the creators of SumBlox to see how they work together not only for addition, but fractions and multiplication too. So clever! SumBlox are a brilliant early learning tool for children and so much fun they’ll barely realise they’re learning. Priced $198, a SumBlox Home Kit includes 43 hardwood blocks and an activity card. Order direct from Keld Industries.